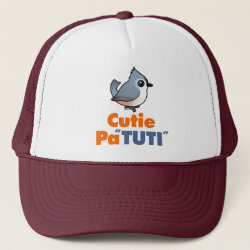 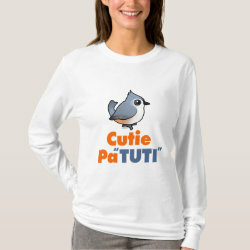 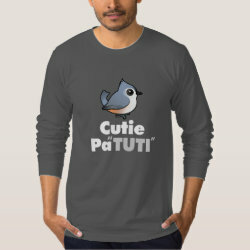 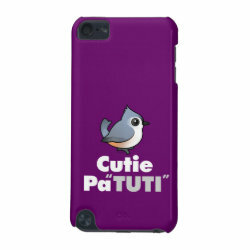 This adorable design is a sort of inside-joke for birders in the know. 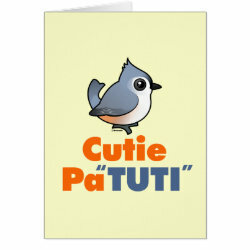 Everyone can plainly see that Tufted Titmice are among the cutest of birds. 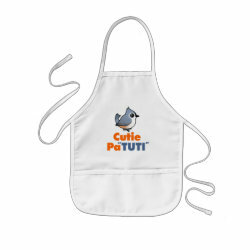 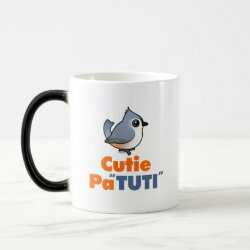 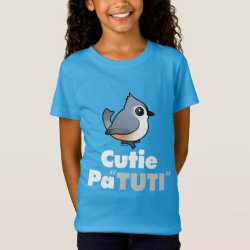 But not everyone will realize that the proper way to spell more... "Cutie Patootie" could easily encorporate the four-letter code for the species. 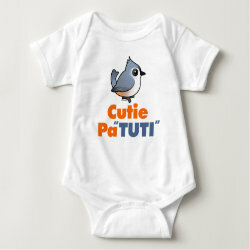 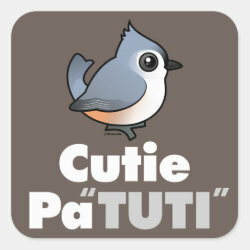 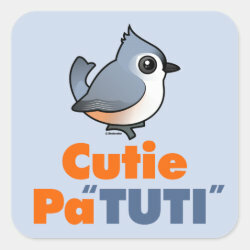 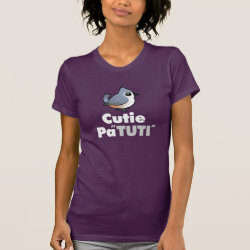 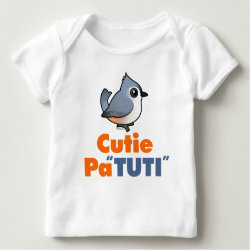 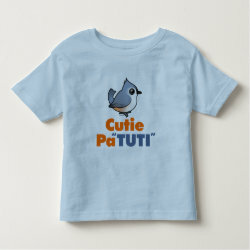 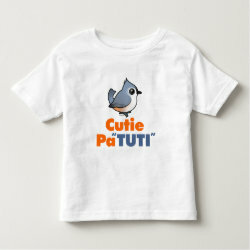 So when you call these little sweeties a familiar term of endearment, spell it "Cutie PaTUTI".